After a turbulent summer which saw Nestlé shaken up by American activist investors Third Point, more European companies are now attracting interest, with Swiss chemicals company Clariant and German conglomerate ThyssenKrupp the latest to be targeted. According to data from industry tracker Activist Insight, in 2009 there were just six activist campaigns targeting European companies valued at more than €1 billion; in 2016, there were 40. JPMorgan estimate that there were 119 activist investor campaigns in Europe in the 12 months to June 2017, compared to 100 a year earlier and 62 five years ago. It is clear that activist investors are hunting for targets across the continent. In France, London-based TCI (The Children's Investment Fund) led a successful campaign to urge the aeronautical parts manufacturer Safran to lower its offer price for Zodiac Aerospace in February this year, the French fund CIAM campaigned for Disney to pay more to minority investors in Euro Disney in May, and the American hedge fund Corvex Management built up a $400m stake (about 1%) in Danone in August. In Switzerland, in July, with his $3.5 billion stake (about 1.3%) in the group, American investor Daniel Loeb led his hedge fund Third Point to put pressure on Nestlé to overhaul its business, which included selling off Nestlé’s stake in L’Oréal. In October, the Swiss chemicals company Clariant had to abandon its planned $20-billion merger with US rival Huntsman under the pressure of one of its shareholders White Tale, an investment vehicle of activist investor Keith Meister’s Corvex hedge fund and New York-based fund 40 North. Now holding 20% stake, the investor group is also demanding three seats on the board and an independent strategic review. Across the Rhine in Germany, Cevian Capital, a Swedish activist investment company, has become the second largest shareholder of ThyssenKrupp, a German conglomerate in steel production, machines and industrial services, and has been urging the management to split up the company for months. But on December 5th CEO Heinrich Hiesinger received the backing of the company’s board of directors for his strategy of keeping the company together. On his side, active investor Knight Vinke has been trying to dismantle the energy conglomerate E.ON. Other high-profile moves include drugmaker Stada Arzneimittel, online bank Comdirect, industrial group Schaltbau and machine maker GEA. The Netherlands has not been spared either. Elliott Management, a $33 billion firm run by Paul Singer, raised its stake in the Dutch paint maker AkzoNobel after it rebuffed merger talks with the US suitor PPG Industries, and succeeded in adding three directors to the company’s board. More campaigns are being conducted behind the scenes, with funds working amicably with companies without drawing public attention. Several factors have contributed to the rise of shareholder activism in Europe. First of all, already well established in their own country, American activist funds are seeking more opportunities overseas. With the recovery of the continent’s economy, its surging equity markets that outperformed the US this year, as well as the conclusion of many political uncertainties such as the Brexit vote, France’s and Germany’s presidential elections, Europe has become a more stable region, and relatively cheap European companies thus appear lucrative and tempting. The lack of structural protection for companies against activists in many European countries further facilitates activism. In Switzerland where corporate law is shareholder-friendly, for instance, shareholders have the power to fire the entire board of listed companies, and they can elect each member of the board individually. In Germany, the corporate governance code was amended in February to emphasize that institutional investors have a responsibility to exercise their ownership rights actively. However, activist investors still face difficulties, especially in terms of complex corporate governance rules and local culture of each country. 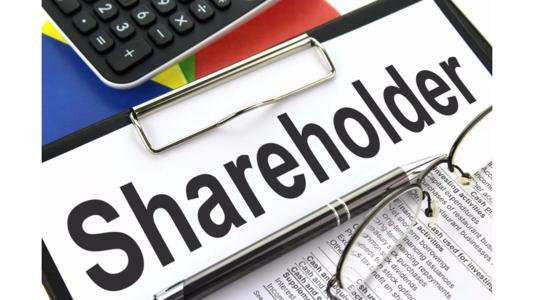 Many companies listed in Europe have one large shareholder that is either a family or the government, and it is not easy to win the support of these shareholders. In the Netherlands, for example, foundations control some companies and may appoint directors or issue new stock. In France, long-term shareholders can claim double voting rights. And in Germany an investor might win a seat on a supervisory board yet find no influence over a management board who governs the company. While sometimes activist investors can legitimately claim to be change agents and are to be applauded, more often they are seen as a threat, especially if they launch a hostile public campaign against a company. From a cultural perspective, European institutional investors are also less comfortable with the concept of activism, particularly from a US hedge fund. Due to all of this complexity, the track record of activist investors in Europe is rather mixed. Activist Insight reported that in 2017 only 32.8% of campaigns had been “at least partially successful,” compared to 43.2% in 2016.